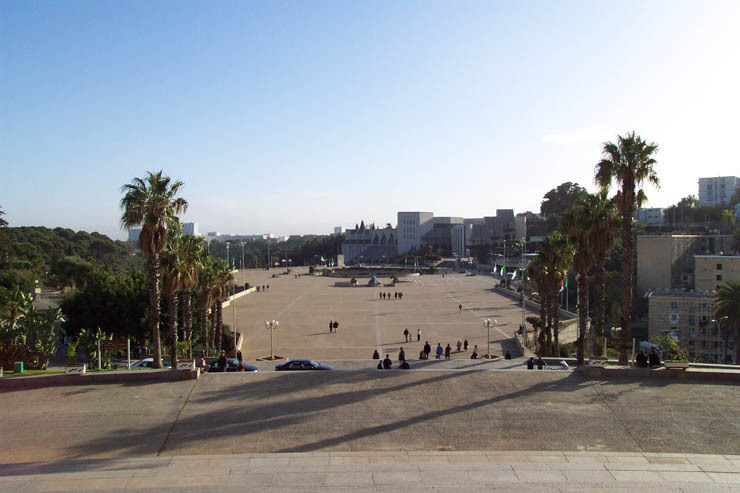 This was my second visit to Algeria. This time I was part of a UTS tour. 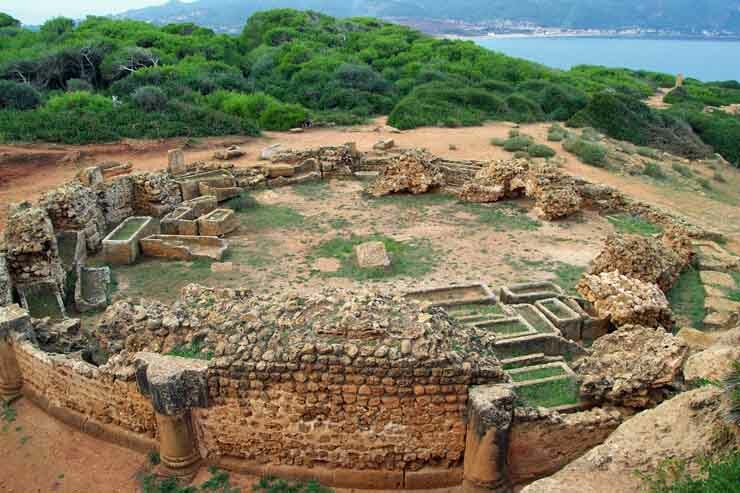 Highlights included a visit to Tipasa, an ancient Punic trading post conquered by Rome and a walk thru the Kasbah of Algiers. 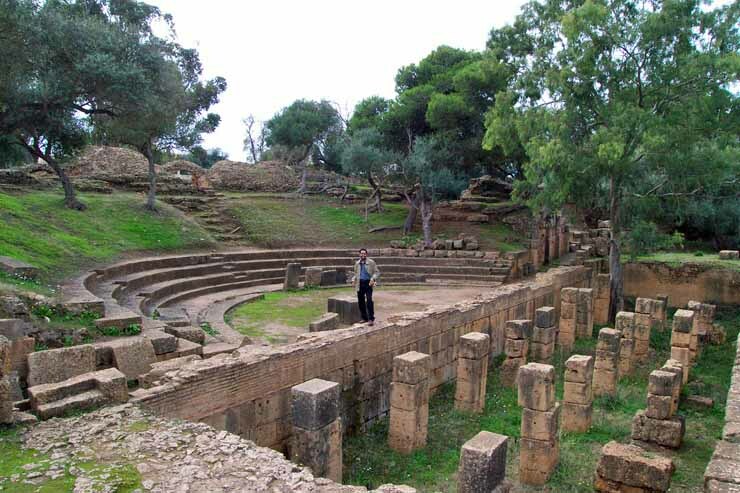 Tipasa was a classic oppportunity to get a clear idea of what life was like in a small town in Roman times. 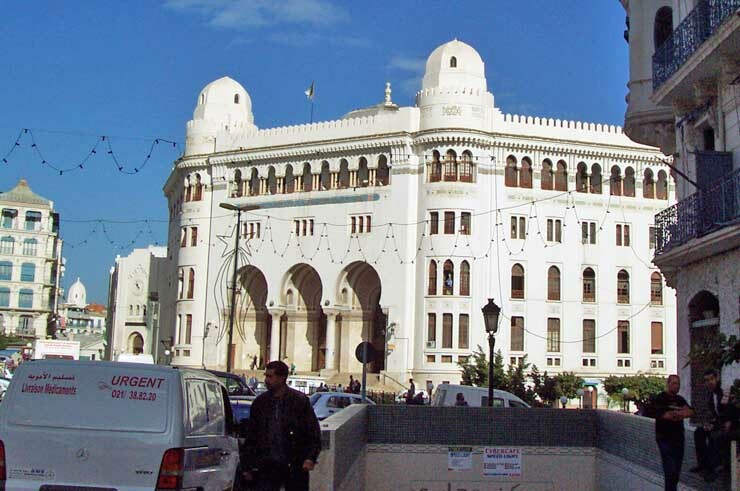 Algeria is not as European as Tunisia although the French influence remains very strong. On the other hand, it is more European than Libya. Informal counts of women on the street yielded about 55% wearing the hijab compared to 10% in Tunisia and 95% in Libya. 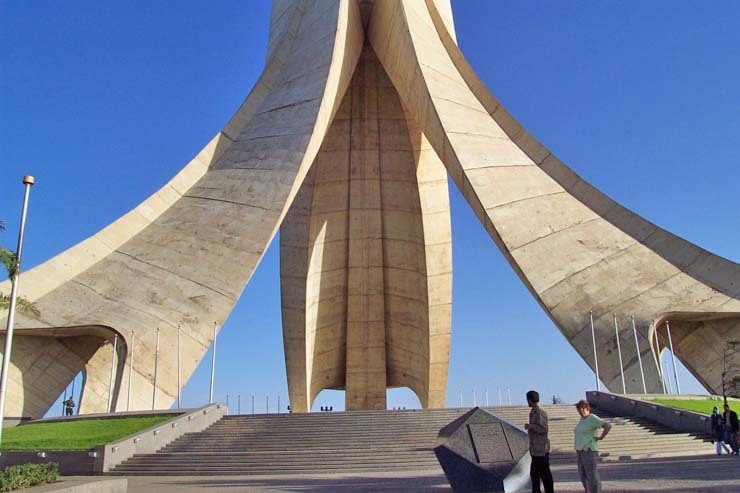 This is a sign that deep divisions remain in Algeria. During the 1990s there was a war between moderate Muslims and terrorist Muslims that killed over 100,000 people. The streets seem safe today, but the security at the airport was some of the tighest that I have ever experienced. 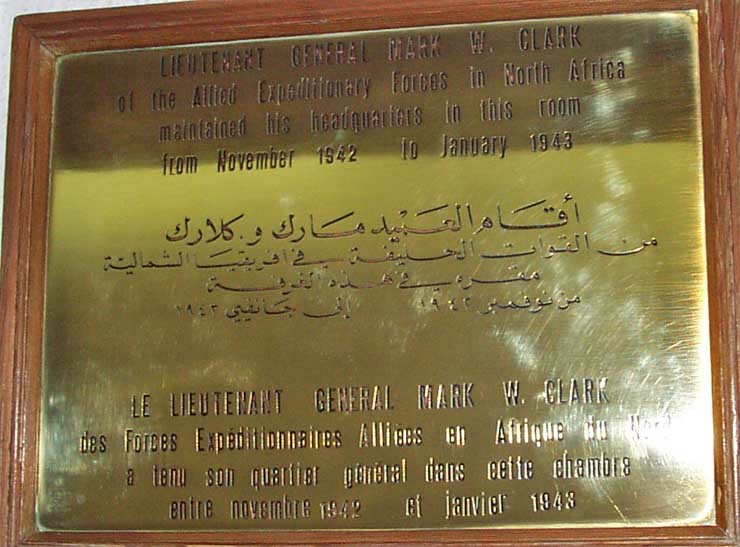 I stayed at the most famous old hotel in Algiers, now called the El Djazair Hotel. It was a wonderful surprise to see that less than 50 feet from my room was the room that Dwight Eisenhower lived in for 13 months during WWII. Clicking on the Lonely Plant map accesses their site. 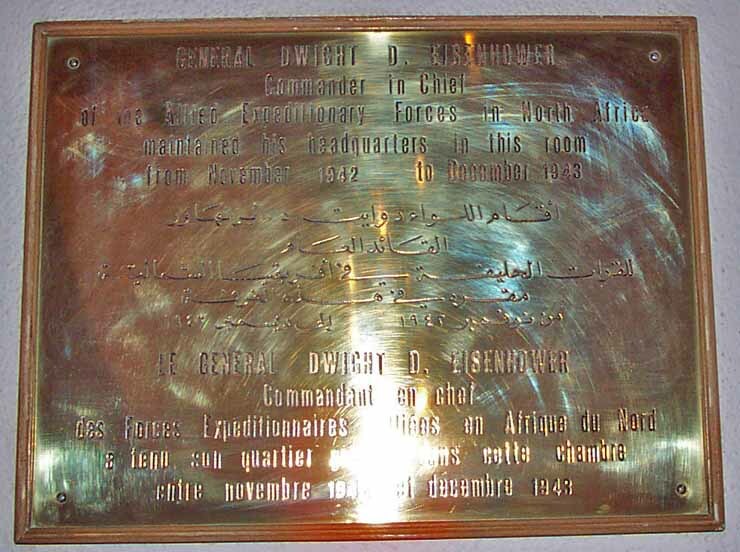 In the El Djazair Hotel just 50 feet from my room was the one that Eisenhower lived in for 13 months. Another 20 feet to the room used by General Mark Clark. 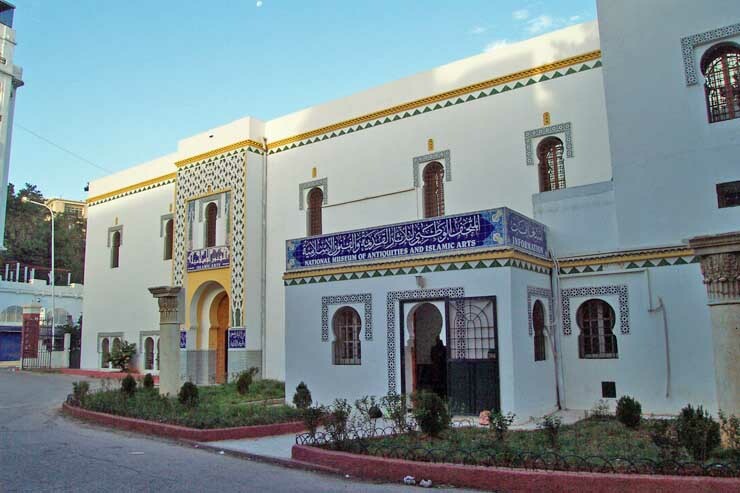 The El Djazair remains a key hotel today. 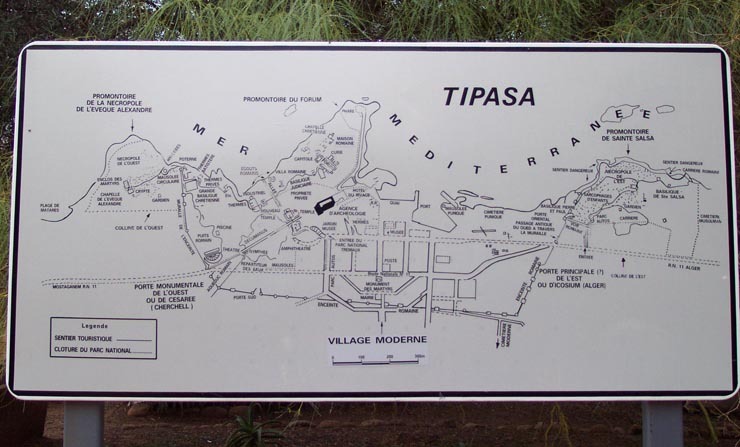 Tipasa was a Phoenician, Roman and Byzantine town. 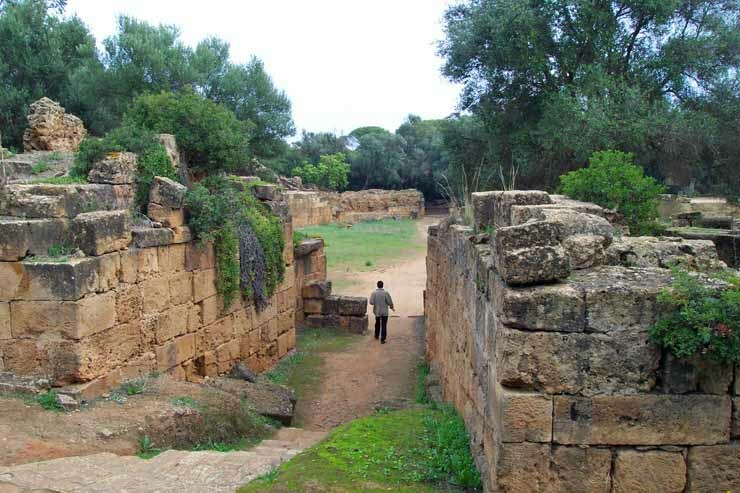 Roman ruins are extensive. This is an overview of part of the town. Note young couple at bottom left using ruins. This is corridor to enter the amphitheater. The amphitheater is small because the whole town had about 8,000 people. 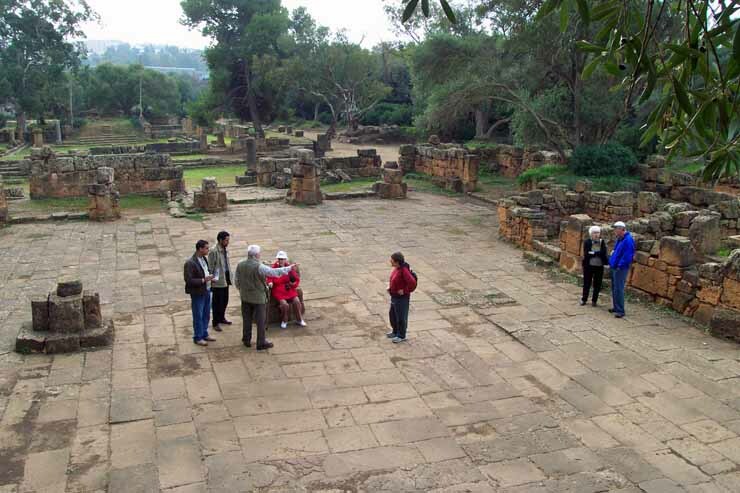 Here in the forum there are 3 guides on the left and 4 tour members on the right. Mr. Saidani, our charismatic guide for Algeria, is in the theater. A wooden floor was at the right. 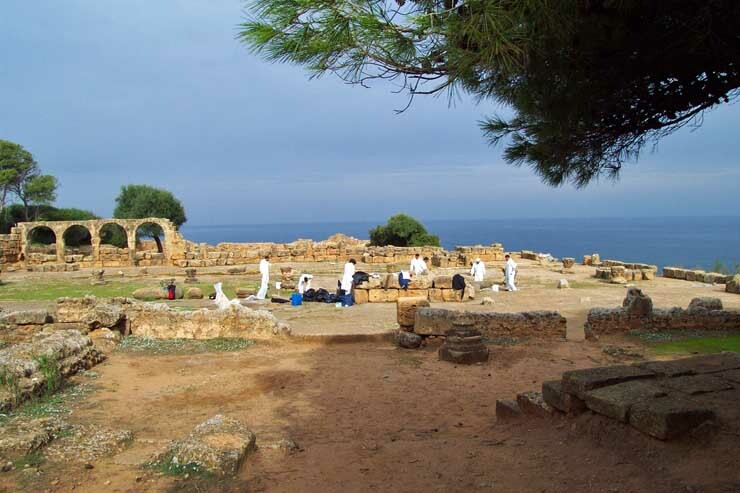 On the promontory above the sea, restorers are working on the Basilica. 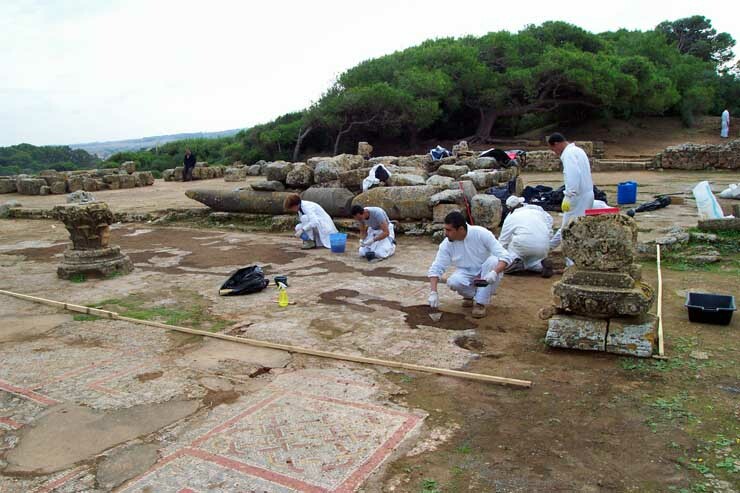 The original mosaics, exposed to the weather for 1800 years, are not yet restored. 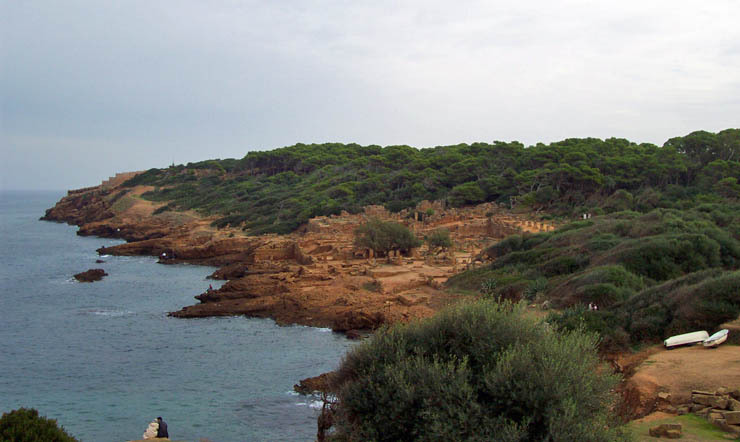 The early Christians buried their dead in this area and even in the old Roman bath. 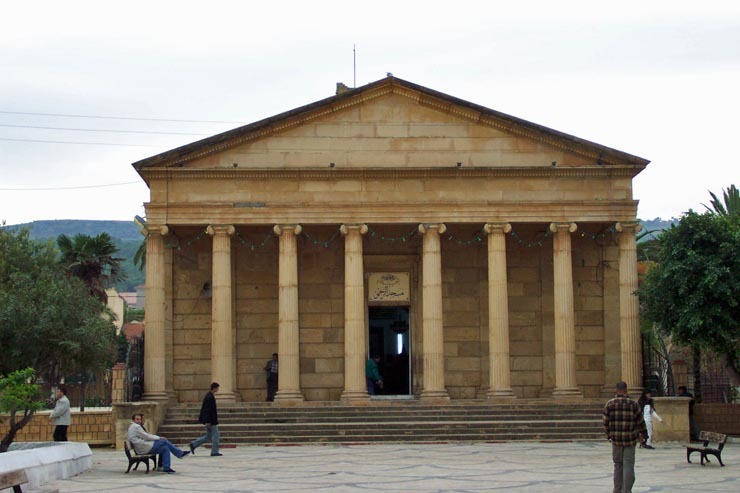 This 500 a.d. church was built to look like a Roman temple; now it is a working mosque. We visited the National Museum of Antiquities. 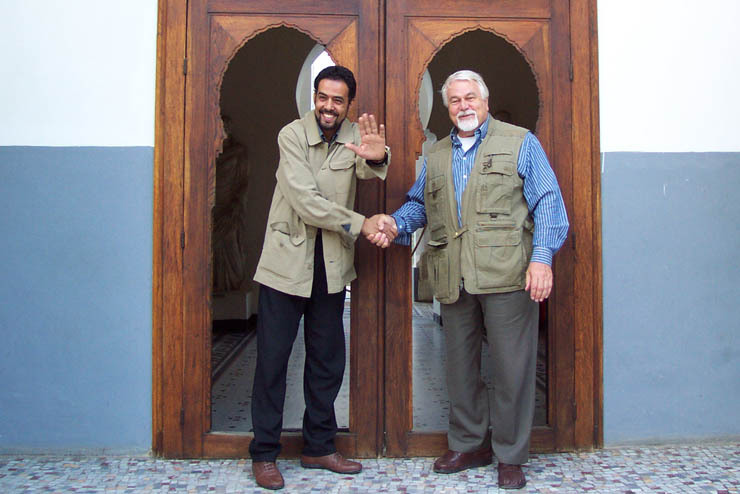 Our excellent guides: Mohamed Saidani from Algeria shakes hands with Herb Goebels, our UTS senior tour director. The century old post office, designed by the French, remains a classic. 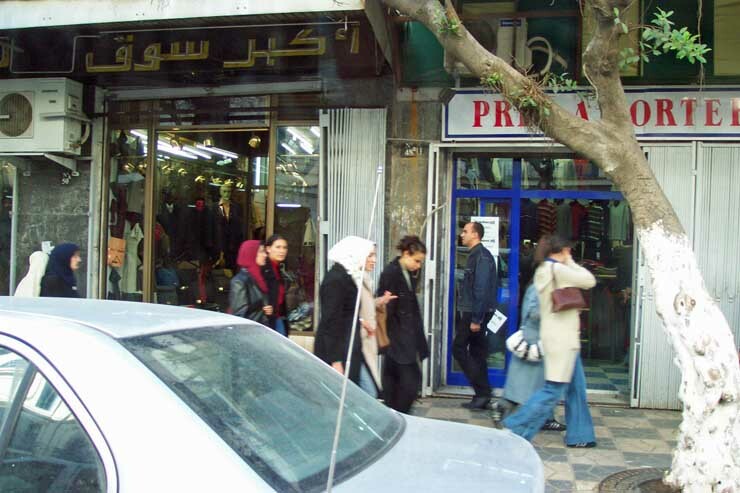 About 55% of Algerian women wear the hijab as shown in this street photo. 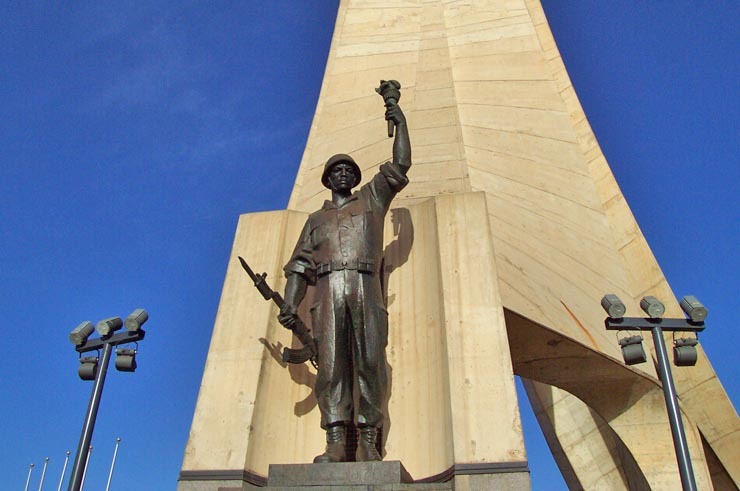 The 100 meter high Martyr's Monument has commanding views of the city. This soldier fought the French. In the 90s over 100,000 died in the fight between moderate and terrorist Muslims. 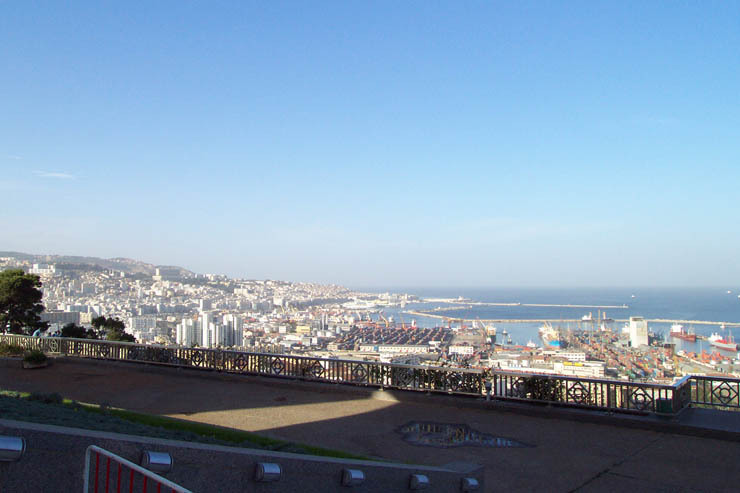 The white city of Algiers with its blue shutters and the commercial port. To the left of this plaza is a huge botanical jungle where Tarzan movies were filmed. These friendly young people were visiting the monument. Note dates on palm trees. 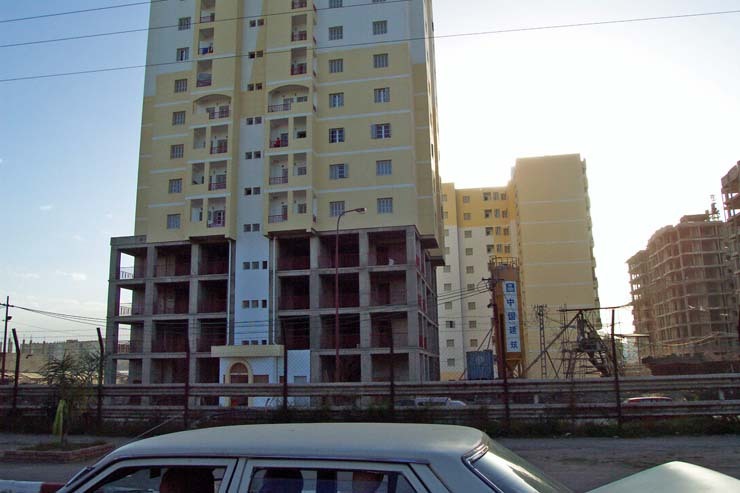 Chinese company is doing a good job building apartments on the outskirts of Algiers.